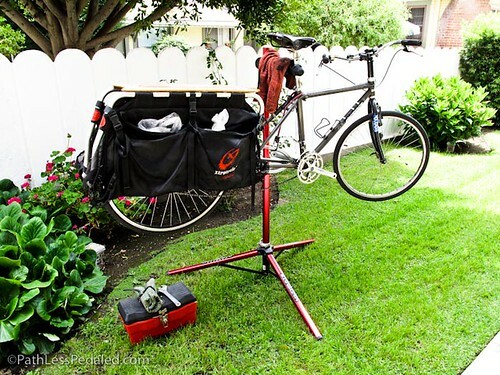 Home > Uncategorized > Taking the Xtracycle Apart. I took apart the Xtracycle this weekend, a little bittersweet, but I find that I haven’t been riding it as much as someone else would or as much as it deserves to be ridden. I’m trying to cut down the stable to just two bikes so it will be easy to store while we’re gone. 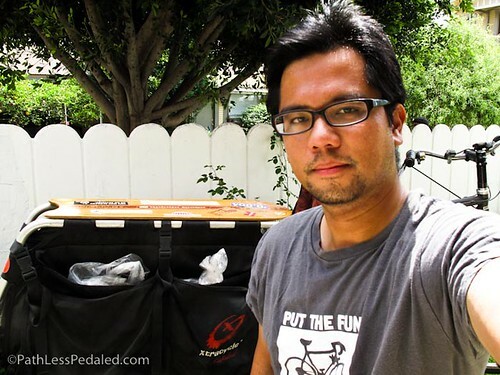 The Xtracycle was a real important piece of equipment for me. I purchased it shortly after I left a well-paying but spiritually crushing design job. I decided to make a go at being a photographer and left what was a cushy situation into something that was completely chaotic and offered no guarantees. 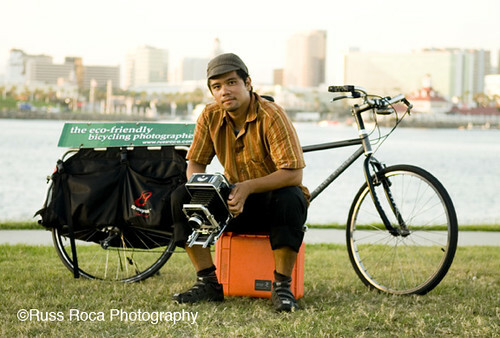 The Xtracycle really enabled me to be a photographer without a car and grow my other persona as the Eco-Friendly Bicycling Photographer. Not easy, let me tell you. I was met with a lot questioning and disbelieving looks when I first started, even from friends and family. I think everyone (even myself a little), thought I was doing something a little mad. But hey, nothing great comes out of doing everything normal. It has been several years since and business is going well. I have a few people interested in it. One of them is even a photographer (continuing the tradition). Not sure who the final owner will be, but I’ll try to do a little multimedia piece on it.